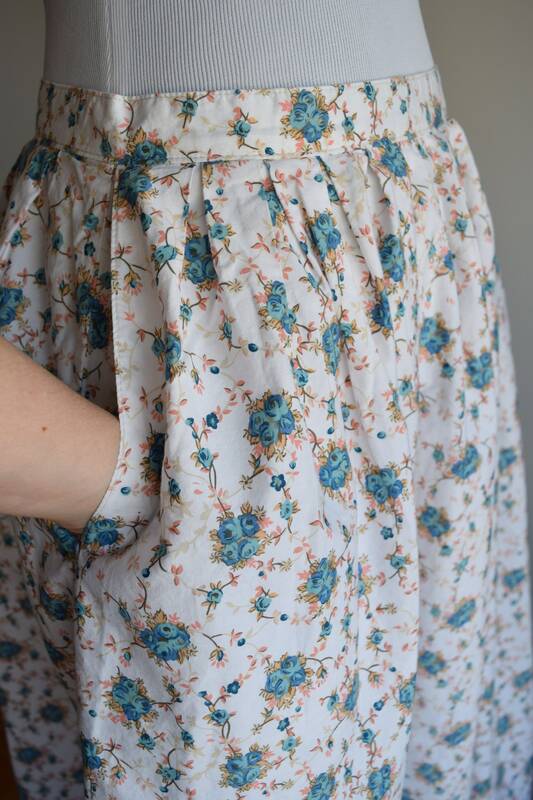 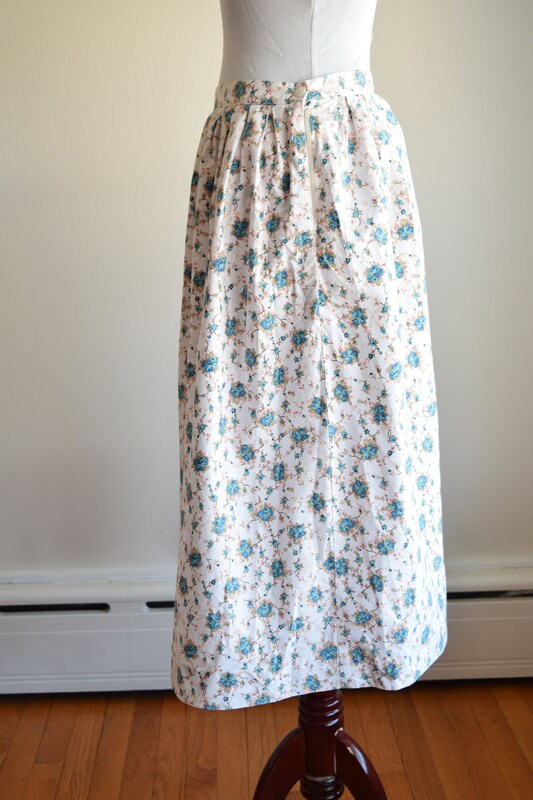 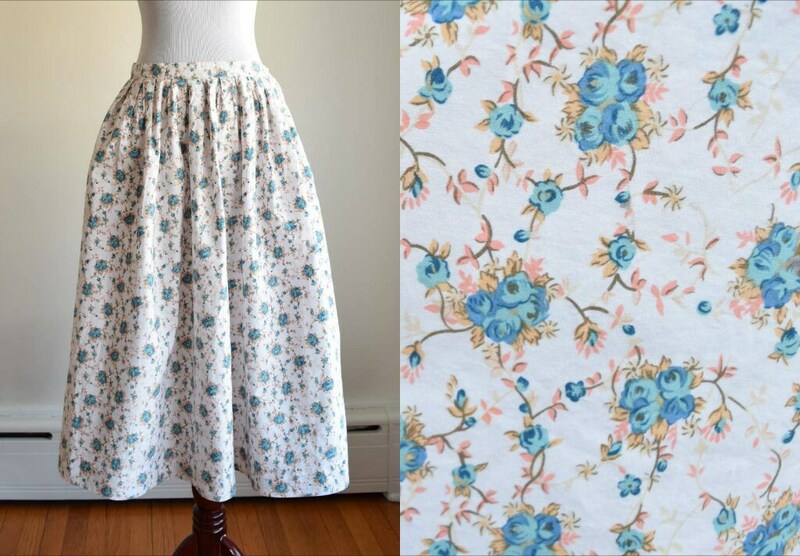 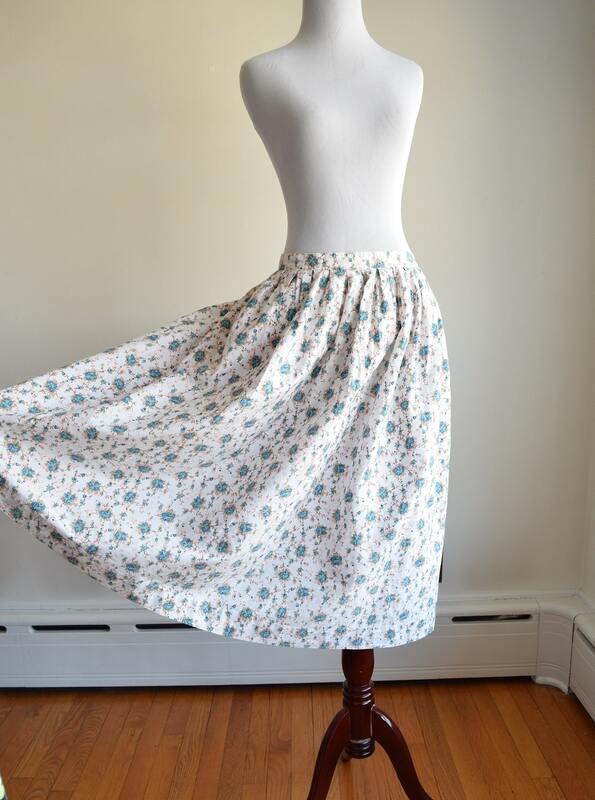 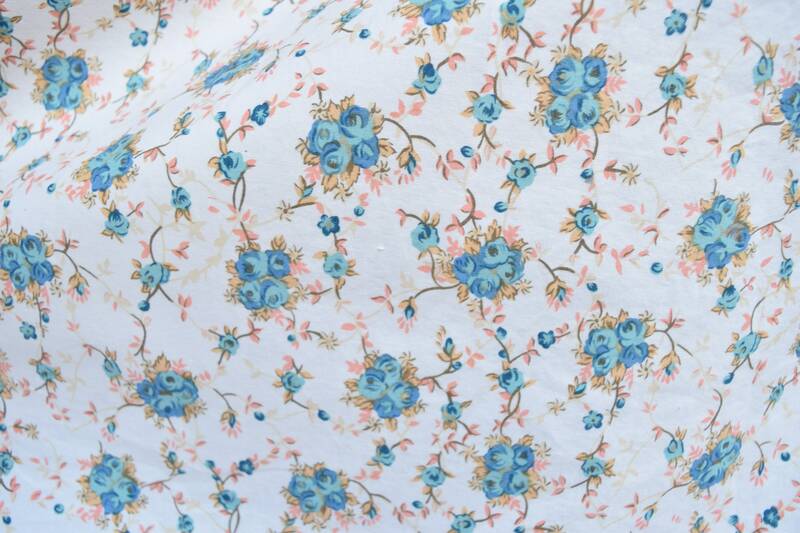 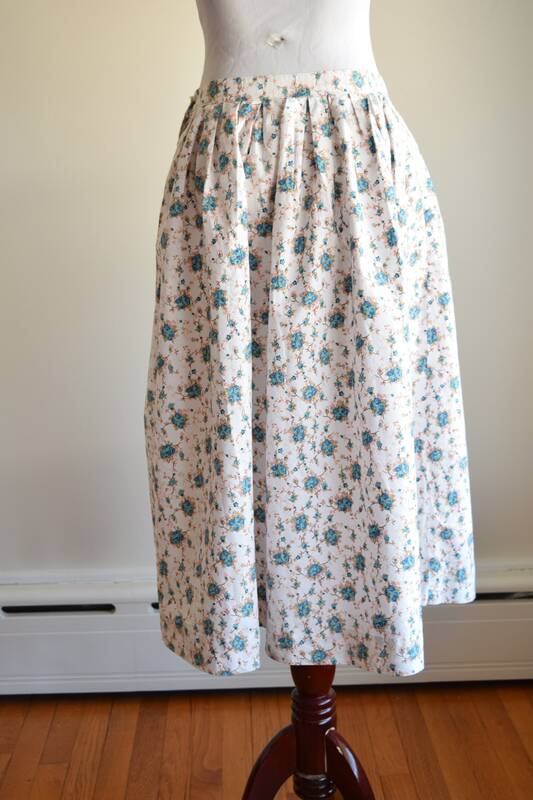 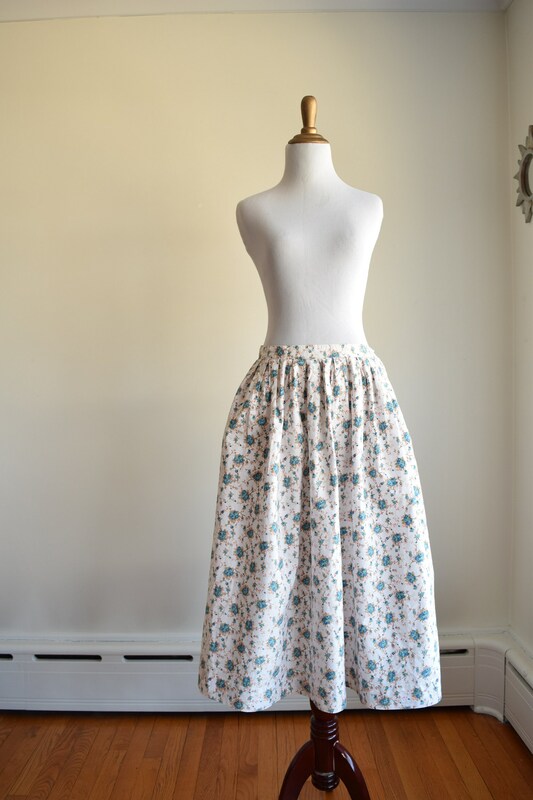 This dreamy cotton skirt has two pockets and a gorgeous blue rose print accented in soft coral colors. 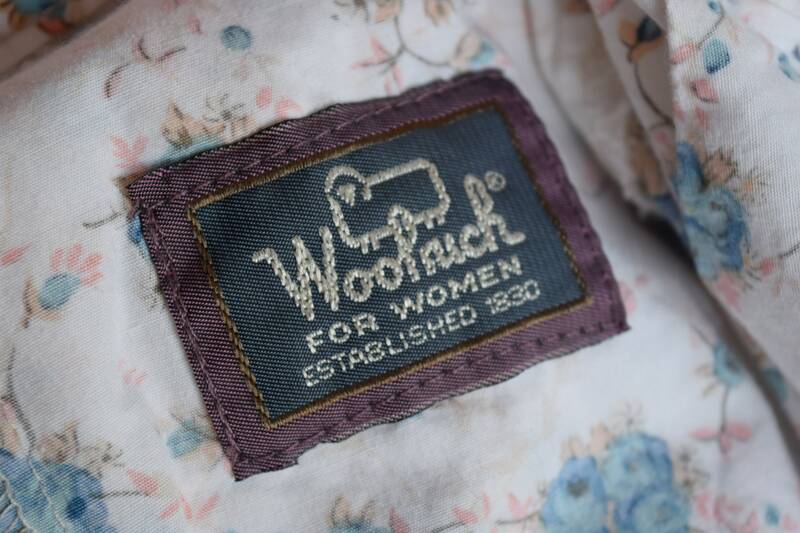 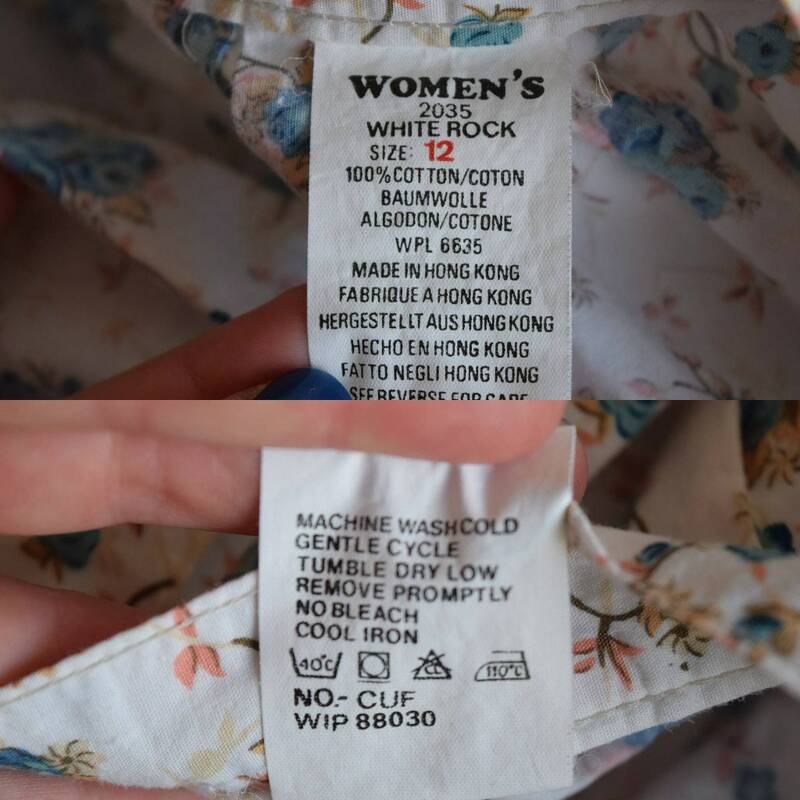 It is made by Woolrich and contrary to the name is 100% cotton. 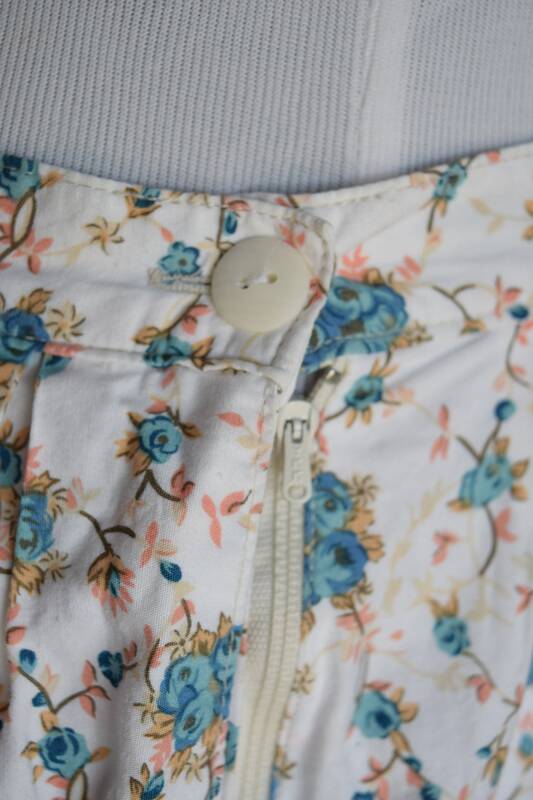 It has a size zipper with a button for a secure fit and is machine washable.